We invite families, students, seniors and campers to experience Alley Theatre Day! This includes a behind-the-scenes tour and tickets to the Wednesday, August 2, 2:30 p.m matinee performance of Alfred Hitchcock's The 39 Steps. Individuals and Groups will begin their Alley Theatre Day experience with a tour of the Alley Theatre and our 75,000 square foot Center for Theatre Production. Your group will view our rehearsal studios and the costume, properties and scene shops. 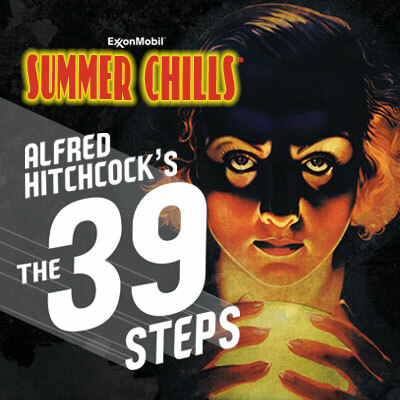 Following the tour, individuals can enjoy a performance of Alfred Hitchcock's The 39 Steps. For ages 8+. This is a walking tour, please dress accordingly; closed toe shoes required.